Social networking sites are popular amongst student recent years. 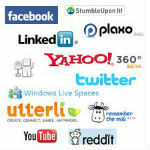 Some of the popular social networking websites are Facebook, Twitter & Google+. Almost all the students would definitely have a profile in those sites. These facebook like sites will be taken up by students as for fun but some may start using it as fun and gets addicted to it. This article shows you the advantages and disadvantages of social networking sites for students. The main advantage of social networking site is that it helps in establishing connection with people, friends and relatives. It helps in sharing one’s view, share pictures and lots of other stuffs. It helps students in interacting with one another and share ideas. This helps in improving student’s creativity. The social networking websites can be accessed from any part of the globe. This helps the students to establish communication with their teachers and friends through which they can improve their knowledge. Social networking sites are not only used by the students for sharing pictures, videos or it is not only meant for fun and entertainment. Through social networking sites like Facebook, LinkedIn one can become a member and can also post relevant information about campus drive. SEO website. Through these sites the students can establish contact with entrepreneurs, corporate people and can gain valuable information from them. Social networking sites have taken a new dimension called marketing. Certain websites offer advertisements to its subscribers. One of the major disadvantages of using social networking websites are the students get addicted to it. They used to spend hours in those social networking sites which can obviously degrade the student’s academic performance. Some students may tend to use to these social networking sites till mid night or even more which can obviously lead to health related problems. Some students may spend time in Facebook through which they lack to spend time with their family members. This can also be a disadvantage also. Some students may provide detailed information like phone numbers, address which is very dangerous because they can easily tracked down by strangers. Since the advantages overcome the disadvantages I would like to conclude with a note that the social networking sites are definitely a boon to those students who are aware that they are using it for the right purpose.